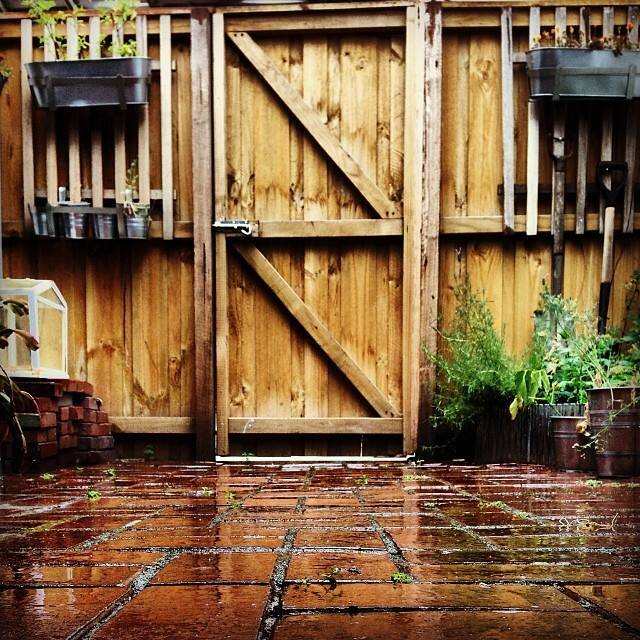 I like when the wood on the back fence goes several shades darker when it rains. It absorbs the cool, fresh rain and looks like it has a fresh coat of paint. Thats what is happening this afternoon, on the first day of 2014. I love when it rains on the first day of the year. It feels like it is washing and preparing for the new. The sound on the metal roofing above gets louder and quieter, the cycles of how light or heavy the rain is. A calming, soothing sound. Then a roar, a blast of summer rain, cleaning out a harder to cleanse spot. My Facebook feed was full of resolutions, greetings and love across NYE 2013. Every year it is bigger and bigger, where social media becomes the platform of sharing and expressing regret, or thankfulness, or goals for the new year. Inspirational sayings are posted and some just let everyone know how wasted they are. But we all move together into a new year, some people argue its just another day. Other cultures do not even celebrate yet. Either way, we all move together. Breathe into the next day, and whatever it brings we have the option to sit and distract and consume. Or we can sit up, lean forward and do something. Make something happen. And not just today but until December 31. I tell myself this. Will I listen? 4 months til I am 30. 1984, good year. 2014 _____ year.